Is the Cruncher interactive dinosaur worth buying? Read our Cruncher dinosaur review and make sure this dinosaur toy is right for you and your child. Children and adults are crazy about dinosaurs toys and Mattel’s Cruncher Prehistoric Pets Interactive Dinosaur is no exception. This toy has actually become more expensive over time. That is due to it becoming a collectable. Who Should Buy Cruncher The Dinosaur? 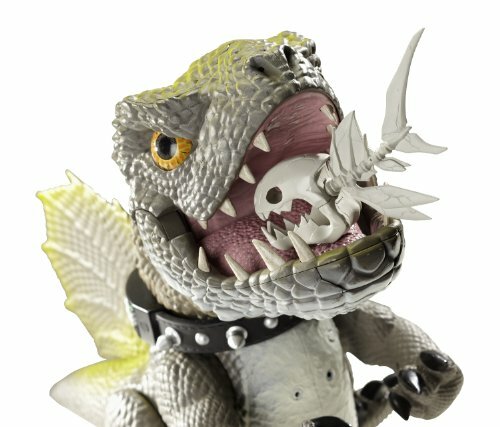 Who Should Buy This Interactive Dinosaur Toy? Cruncher is not recommended for children under 3 years of age. This is partly due to his prehistoric fish being a choking hazard to them. Also this interactive dinosaur can do many different things and a young child may not be able to operate him effectively. The manufacturer suggests ages 6 and up for the Cruncher dinosaur toy. Every child is different and no one knows your child better than you do. Most children will enjoy this toy well before 6 years of age. Some adults have bought this dinosaur toy for themselves and one user reports that her dog likes to play with the Cruncher Interactive Dinosaur too. The Cruncher interactive dinosaur is one tough looking little dinosaur. Did I say little? He weighs four pounds and measures 18 L x 7.5 W x 13 H inches and comes roaring to life when you turn him on. He is controlled by the collar around his neck which is a great idea because you wont have to worry about finding or losing a separate controller. The Mattel Cruncher Dinosaur is designed to be durable so it is made of hard and soft plastic to protect his electronic components and also to make sure he can stand up to long hours of physical play. Cruncher runs on five C batteries which are not included. They are inserted on the underside of his belly next to the on/off switch. The toy is powered primarily by a rubber wheel which is synched to his legs. 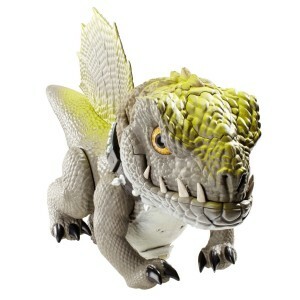 There are also rubber-coated surfaces on his feet, and tip of the tail help to keep him stable and upright during play. Cruncher the dinosaur is part robot and part prehistoric pet. He is interactive, in fact he needs to be trained much like a puppy. With 8 modes of play and over 200 sounds and animations kids will spend hours playing with Cruncher and training him to do tricks. He comes with easy to follow training instructions that are geared towards young readers. You can even lift his tail and make him fart! It’s pretty easy to see why kids love Cruncher the dinosaur after watching this short video. Kids are attracted by Cruncher’s exaggerated features and striking detailing. The skin on his neck even wrinkles when Cruncher turns his head. 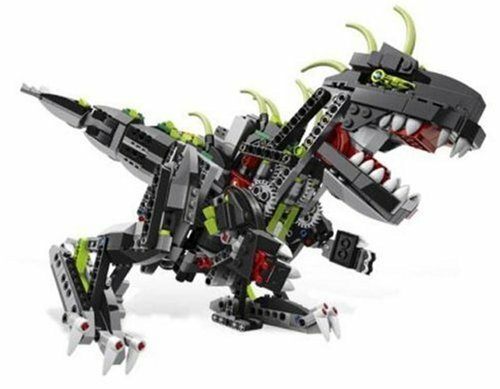 With large eyes, sharp-pointed teeth and his colorful skin Cruncher exudes attitude. Kids just love this toy and parents are very pleased as well. He has so many options your kids will not get bored with it. Great interactive toy inspires creativity and active play. Try as we might we couldn’t find any negative reviews for Cruncher The Dinosaur. The closest we could come was a lone three star review which was the lowest. This grouchy gentleman didn’t like Cruncher because he was noisy but admitted his kids loved it. This dinosaur toy does so much it can be a bit challenging to learn all he can do. This is a truly impressive toy . The product reviews are overwhelmingly positive and there are many satisfied buyers. Kids just love this toy because it can be taught to do so many things. Adults also have a lot of fun with Cruncher. For the price you will be hard put to find any toy that delivers anywhere near what Cruncher the dinosaur does. This is the perfect gift for any dino lover. 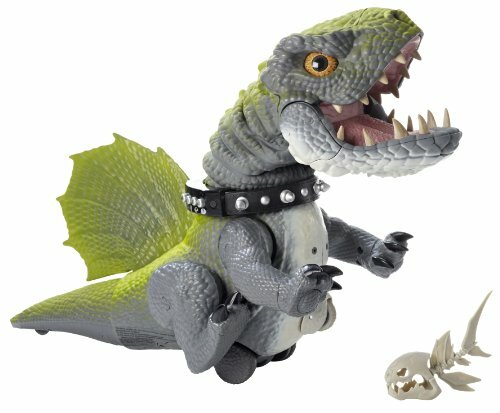 I would grab this dinosaur toy now while it’s still available if you want it, because for some crazy reason Mattel has stopped making it. It is not likely the Cruncher interactive dinosaur will get much cheaper, but it is likely to sell out.